With almost 2 billion active monthly users, Facebook is by far the largest social network in the world today, which makes it an extremely important channel for Digital Marketing in the context of Social Media Marketing. In fact, thanks to its advanced segmentation tools, the platform for Facebook Ads not only has the greatest reach of any social network, but it’s also one of the most cost-effective. While other Digital Marketing platforms can achieve better acquisition costs and click rates (CTR- click through ratio), the fact that Facebook can present a good cost/benefit balance on a much larger scale makes it much more reliable and efficient. In this context, it’s essential to understand exactly what are Facebook Ads, from the way they work, what are its advantages and the strategies that must be applied to the usage rules, to the recommended tools and what affects the success of a campaign. Facebook Ads is run by CPM (Cost Per Mille) and CPC (Cost Per Click) bidding, that is, the person who buys the ads pays for them when they’re seen (paying for every thousand prints) or clicked, depending on the chosen method. Through Facebook’s API, it’s also possible to achieve costs per acquisition, or CPA, by following up an action such as installing an app or registering on a form. In terms of type of ads, although Facebook is continually experimenting with new models and options, there are two major types: News Feed ads and right column ads. News feed ads fall into the category of Native Ads, i.e. ads that seek to integrate into the content that users seek, by using the same format and functionality as typical Facebook posts, with only a few subtle elements that distinguish them as ads. Although this type of ads are now regularly applied by most platforms, Facebook was one of the pioneers to bring this tool to the public, which has the great advantage of working around the phenomenon of “ad blindness”- the one by which users begin to instinctively ignore ads by their own experience. In addition, these ads incorporate elements to “social proofing“, that is, elements that increase the ad credibility because they have some personal relationship with the consumer- for example, the fact that the ads present, when applicable, a message that indicates that a friend of the user likes the brand page, which will establish greater relevance. The right column ads, in turn, are the most traditional Display Advertising, with the use of banners to attract the user’s attention. Since these contents are separated from the major elements of Facebook, including news feed, and suffer from the effect of “ad blindness” because they’re clearly ads, the results are usually much lower than other type of ads, but with the advantage of experiencing lower costs as well. What are Facebook Ads advantages? This is an excellent channel in the phases of awareness, loyalty, and advocacy by which the consumer passes in the Marketing funnel. That is, is an excellent channel to generate knowledge and awareness about the brand (since it allows users to create awareness through their “likes” and shares), to encourage loyalty to the brand (through tools such as retargeting, that is to display ads specifically for those who already knew the brand, or perform some action, like subscribe or purchase), and to make customers loyal brand ambassadors (the Holy Grail of Marketing- the moment the consumer is so loyal to the brand that he voluntarily shares their messages and products, and this will need a lot more credibility than any advertising you can reach). In turn, there’s a Facebook disadvantage to take into account: the bounce rate (the percentage of users who visit the website after clicking on the ad and leave to visit other pages) is, in general, quite high, this is because the current nature of Facebook is that people return immediately to the news feed to continue browsing for more content after having seen the content in question. This means that the user’s own attention is limited, so it's necessary to have a strong, clear and direct message to ensure that his attention is captured. The first step is to define the value proposal, that is, to understand what is being offered, what are its strengths and weaknesses when compared to competing products and see if there are any relevant complementary products. Next, it's necessary to understand the audience. 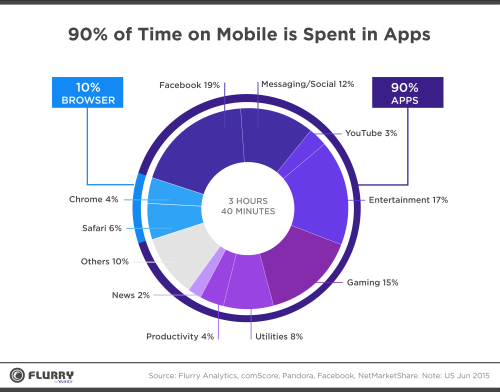 This includes understanding their tastes and interests, their motivations, what time they’re available to see ads, if they’re on desktop and/or mobile, and many other factors. The third step will be to define the campaigns main goals, whether they’re sales, notoriety, support, among others. These will only be the main objectives, since social networks often have side effects, such as notoriety, likes and shares, even when these aren’t the main focus. After this, it’s important to develop the content strategy.This involves not only the type of communication used (with or without emojis, for example), but above all the type of content itself, whether it’s informational, entertainment or other, and how it’s being offered. It’s very important to remember that content is one of the main pillars of social networks today, so the good establishment of this step will be a key a point for the campaign’s success. After the content strategy is defined, there’s the promotion action, which can take various forms: promoting events, promoting links to the website, promoting the installation of apps, promoting the page to get Likes, or even promoting the physical store to attract new customers. With the promotion taking place, starts the step that all Marketing campaigns must have, especially Digital Marketing: monitor and optimize the campaigns based on the collected data, there are tools, both for Facebook (such as Power Editor) and for third parties (being AdEspresso a good example), to facilitate and improve this monitoring and optimization. Finally, the big picture of the brands Marketing initiative needs to be taken into account, so it’s necessary to integrate with other Marketing activities. The entire brand’s presence, both online and offline, should be aligned, which includes promotions and announced messages in Facebook campaigns. What are Facebook advertising standards and limits? This issue can’t be overlooked. As with any platform, there are rules to advertise on Facebook, which are aggravated by the fact that it has so much available information about the user. Therefore, it’s necessary to be cautious with the contents and actions carried out. From Facebook’s perspective, ads should show content that’s relevant and consistent with the social network, that is, suitable for the user based on how they interact with friends, brands, artists and companies that interest them, whether these are information- an example: if I need a gas station, I want to see a gas station ad- or entertainment- I like this TV series, so I want more content in this series. This, once again, reinforces the notion of content as a Facebook focus, which means that ads should be adjusted to be more than advertising and contribute with something in the consumer’s interest. A regular ad account can have up to 1000 campaigns that aren’t deleted. In addition to these, there’s an impediment in segmentation to identify individual users, as this would be a breach of their privacy. As a result, although an accurate segmentation of the precise characteristics of the individual is possible, it isn’t possible to individually identify a single user and show ads created just for him. In terms of content, including the ad’s images, this can’t exploit political, sexual or other sensitive issues, use shocking tactics to instill fear, use images of overly sexual or suggestive content, use commercial images from Facebook without permission, present non-existing features in the promoted product or contain QR codes. In addition, given the controversies in 2016 about fake news and its impact on political issues, Facebook has also implemented limitations and control methods for situations with information that is not factual and truthful. How are Facebook Ads segmented? As already mentioned, Facebook Ads allows advanced levels of segmentation, namely the target audience’s location, gender,age,likes and interests,marital status, workplace,education and association to Pages, events or apps from Facebook. In addition to these, Facebook also features customized audience segment functionality, based on email addresses, phone numbers, Facebook user IDs, mobile advertisers IDs or via Facebook conversion pixel, taking at least 100 people to ensure significant range. This personalized audience allows the use of two Facebook advanced functions: remarketing, previously mentioned, and lookalikes, that is, an audience similar to the existing audience based on several criteria analyzed by Facebook algorithms. It’s also possible to conduct conjunctive targeting, that is, by grouping different interests to further specify the segmentation- “likes cats and dogs”- or by indicating a more general public when saying that we want audiences with distinct interests- “likes dogs or cats”. What is the conversion pixel? So called because it’s traditionally an image file of only 1 pixel size, the conversion pixel is an HTML code inserted into websites that allows to track people who have visited this site. Essentially, when someone visits a website where a conversion pixel is installed, the Pixel sends a ping to Facebook, to record this visit and other information, such as the origin of the visit. This follow-up allows not only to track conversions, and thus determine the performance of a campaign (as in the case of knowing who purchased the products via Facebook), as well as to carry out more advanced campaigns, such as, for example, through retargeting, to carry out a campaign for the sale of a product to those who have already visited the website and consulted this product. What is the structure of a Facebook Ads campaign? The structure of a Facebook Ads campaign is simple, being essentially a hierarchy with three components: the campaign, the ad sets and their respective ads. Video views: ads to increase the range of a video. These ad sets contain one or more advertisements and allow to define the budget, the public, the bidding and the schedule at the level of the specific set. What is the key to creating successful campaigns? The main factor for a successful Facebook campaign is the announcement, in particular the image- image-based Facebook posts achieve 2.3 times more interactions than image-free posts, according to BuzzSumo. Specifically, it’s recommended to test with different titles, descriptions, offers, calls-to-action, images and other elements in order to optimize the campaign and its results to the maximum. It’s also important to bear in mind that Facebook favours images with less text, since it used to impose a 20% text limit on the image, but currently limits only the potential range of images with text that it considers excessive. Another relevant factor in determining the potential success of a campaign is the Ad Relevance Score, an attribute calculated by Facebook after 500 screenings of campaign ads and that keeps being updated in its course. This score, from 1 to 10, is an estimate of how relevant the ad is to the defined audience, so it allows us to understand whether the content is well-adapted to the audience it was chosen for the campaign. Are there any advantages to campaigning for pages with many fans? Yes. The number of fans on a page has an impact, not only on the campaigns level, but also on the organic level- that is, on the level of content that has not been promoted. At the level of campaigns, the main advantage will be that it’s possible to show up to 4 ads per day, instead of 2 if not a fan, besides, having access to more and better aggregated information about the page’s existing audience. At the same time, when ads reach the fan’s friends, they see the aforementioned social context- this person likes this page- which has an impact on CTR thanks to the credibility and effect it has on the “ad blindness”. Finally, the larger organic reach allows us to analyze the most impacting posts and promote them. Regarding this organic reach, the higher the number of fans, the higher the percentage that organic posts achieve, so this will be higher. The advanced segmentation tools and the fact it’s such a ubiquitous social network platform, turn Facebook into a great bet for Digital Marketing campaigns. However, it’s necessary to prepare a strategy and a strong creative work in order to make the most of its benefits, especially taking into account its emphasis on relevant content. To do this, you can count on BloomIdea to do this work for you and bring you the best results; contact us and the advantages of the world’s largest social network will be within your reach.